A cardiologist is a heart expert. He or she is a medical doctor with a particular concentration on the workings and diseases of the coronary pump. 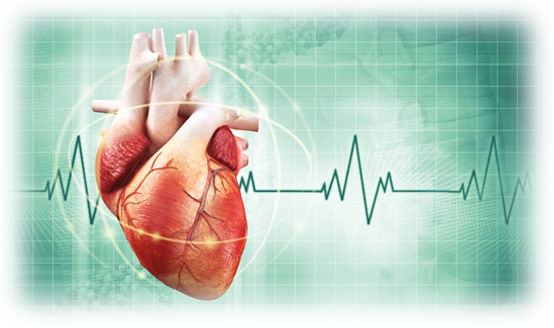 Heart disease remains the number one killer of Americans and therefore, cardiologists are in the front lines not only in prolonging lives but also improving the quality of life. Deals with conduction diseases and electrical properties. Specializes in ultrasound to diagnose mechanical functions. Application of catheters to treat heart disease. The use of radioactive sources to improve heart health. Cardiologists not only treat heart disease but endeavor to help people maintain the healthy functioning of a normal heart. That said, there are so many possible heart disorders that it is impossible to list them all in this brief introduction. Coronary disorders include problems with circulation, various infections of the heart muscle, atherosclerosis (cholesterol build-up thickening arterial walls), and myocardial infarction (heart attack). While cardiologists do treat the heart itself, they are also concerned with the entire circulatory system. This includes blood clots and embolisms, which can devastate both the heart and the brain. A cardiologist, unlike a cardiac surgeon, has a more holistic approach to health. The cardiac surgeon performs bypass surgery and heart transplants; he is a highly specialized mechanic. But the the cardiologist must see the whole picture and endeavors to see his patients as entire people. That is why a cardiologist is the internist most concerned with your diet and exercise habits. Sir James Mackenzie lived from 1853 to 1925. He was part of the revolution in medicine which brought healing away from heroic foolishness (bleeding, cupping and dosing) and into the world of science. His major contribution was in the field of cardiac arrhythmias. He began as a general practitioner but made many keen observations, especially in the study of the pulse. This led to his becoming a legendary cardiologist. He invented a machine that he called the polygraph (later adapted as a lie detector) that he used to create simultaneous charts of both the venous and arterial pulse. Mackenzie then performed breakthrough research on distinguishing between harmless and dangerous arrhythmias (pulse irregularities). Sadly, Dr. Mackenzie himself died after two decades of struggling with heart disease. He donated his body for research which furthered the understanding of heart disease. Previous Post: What Is So Good About High Intensity Interval Training?